Bookmark is the official bookstore of the University of Pretoria in South Africa. The bookstore, based on all four campuses of the University, provides students with their prescribed academic books and boasts a wide selection of recommended academic books, as well as a contemporary collection of factual and general books and magazines. Bookmark has been operative at the University of Pretoria since July 2008, and opened a brand new large retail store on the Hatfield Campus during January 2009. This store is a joint venture between Enterprises UP and Van Schaik Bookstore (Pty) Limited and aligns the strengths of an academic institution with the commercial architecture of a national industry partner to provide students with the highest quality service as it relates to the needs of an academic career. Prescribed academic books form the bulk of the retail offering, but other product ranges available in the store include stationery, leisure books and magazines and contemporary relevant books, journals and other commentaries. 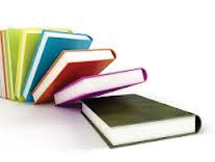 Bookmark provides books to more than 50,000 UP tertiary students both on campus and through distance education. Their website, www.bookmark.co.za, has been designed to assist students with their prescribed textbook quotations and to purchase academic e-textbooks. Please call (012) 362 4420 or email: info@bookmark.co.za if you cannot find the book on our catalogue or have difficulties with your online enquiry. Jump the queue, generate your quotation online now! Too busy to stand in the long quotation queues? Order your academic e-textbook online now! Copyright © Bookmark 2016. All rights reserved.